It’s dark and cold in the Dilijan City Library, in Armenia’s north. And wet. 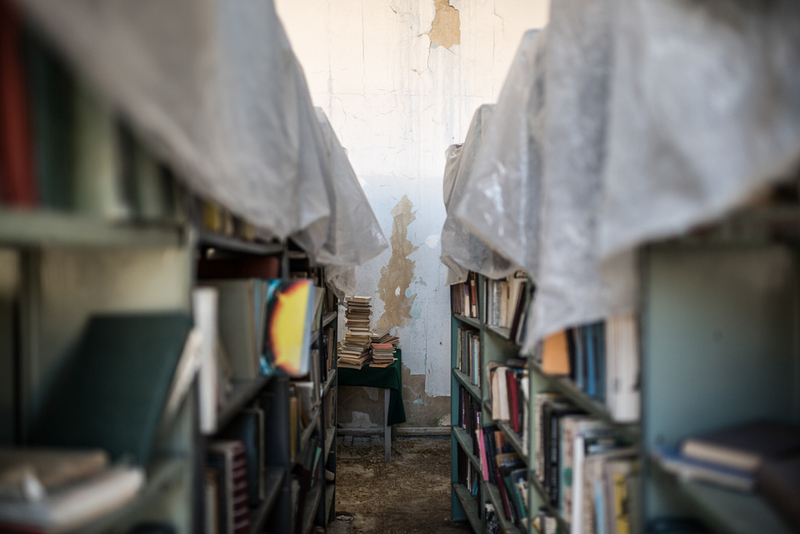 Snow and rain leak in through the roof, forcing Hasmik Hakobyan to hide books under plastic tarps. The leaky roof in Dilijan is not unique. 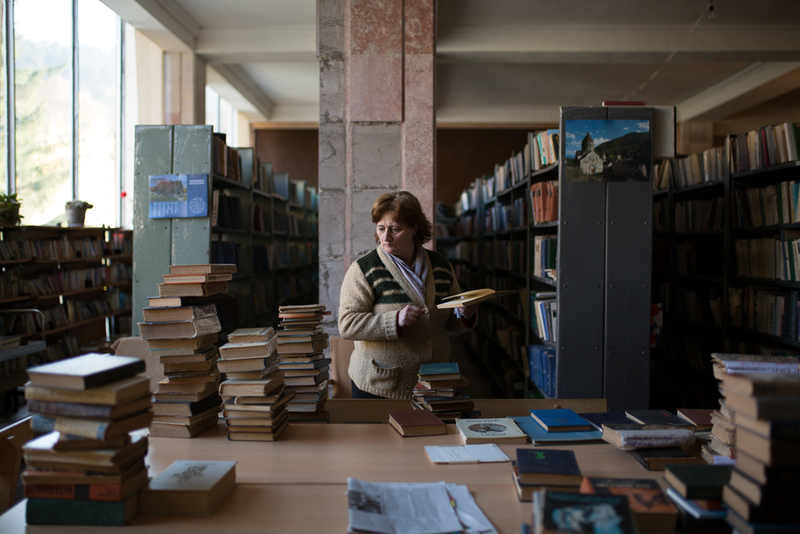 Across Armenia, libraries often operate without light, heat, functioning toilets or even modern books. 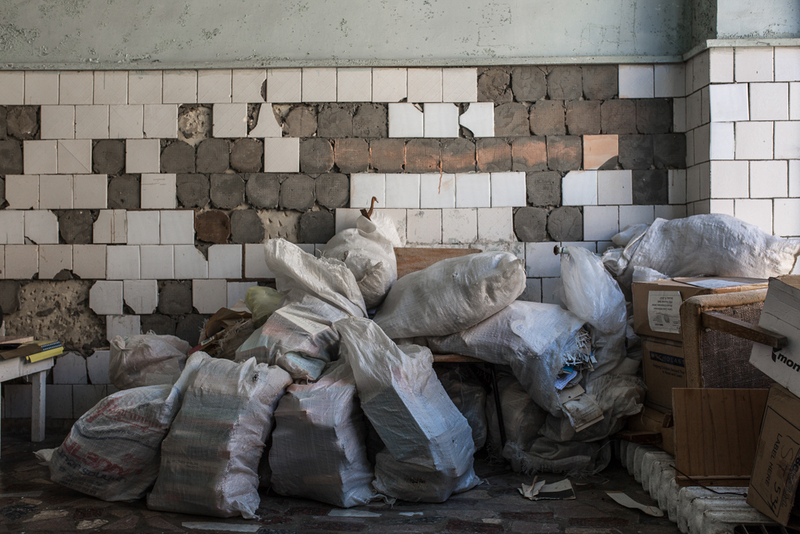 They have been forgotten and neglected since the country’s independence from the Soviet Union in 1991. 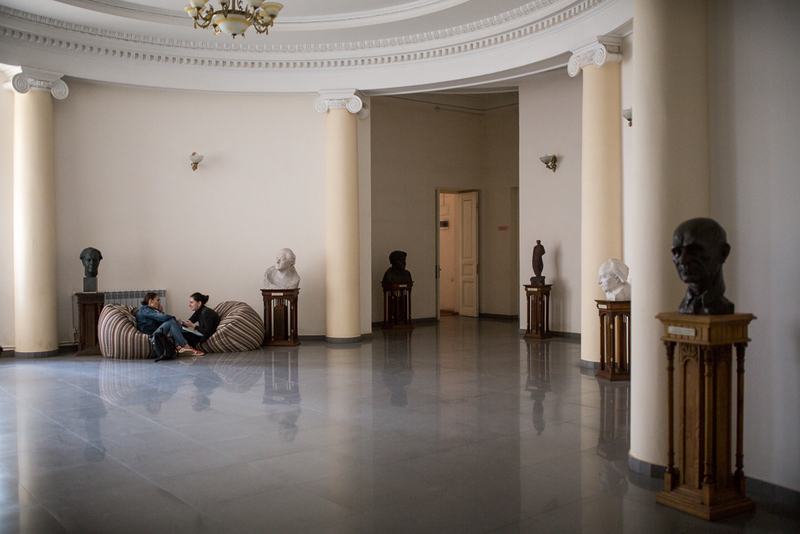 War, economic hardship and a devastating earthquake have pushed Armenia’s cultural and learning institutions down the list of priorities for public funding. Soviet Armenia boasted over 1300 public libraries. A generation later, librarians in the independent country believe there remain as few as 200 to serve about 3 million citizens. 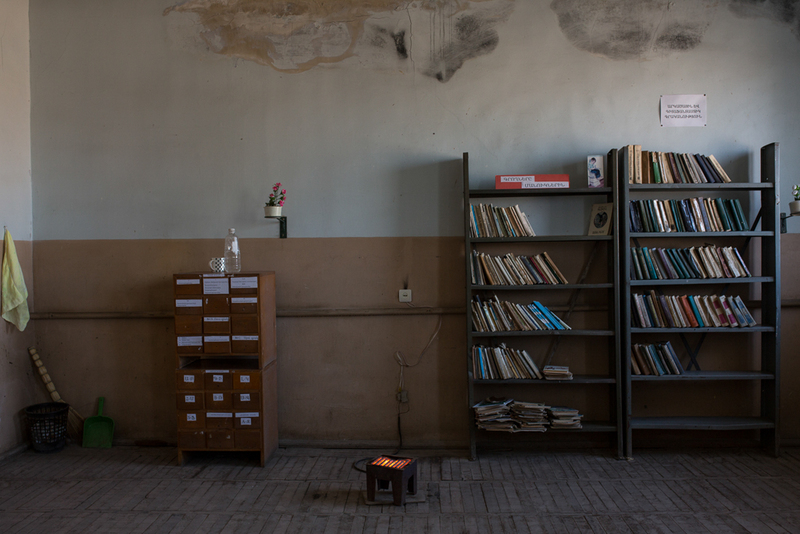 But since the non-violent uprising that overthrew Armenia’s kleptocratic government in April 2018, there is renewed hope inside Armenia that the country – and its libraries – will chart a new course. Renovations began on the Khanjyan Community Library seven years ago. But because of a conflict with the village mayor, it was left without heat or lighting. This electric stove is the sole source of heat at Mayisyan Community Library. The only librarian, Sonia Davityan, 63, refuses to take her vacations during the summer because she wants to ensure the library remains open for children when they’re out of school. 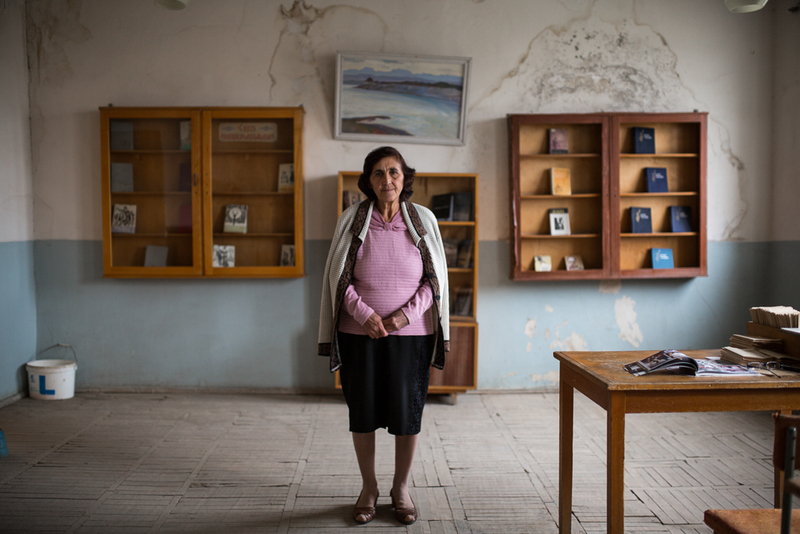 Hripsime Grigoryan, 64, has worked at the Lukashin Community Library for 35 years – for the last 13 as its only employee. Two or three times a year she receives new books from the provincial library. The Dilijan City Library serves over 5,000 residents of Dilijan and neighboring villages. Much of the building is crumbling. 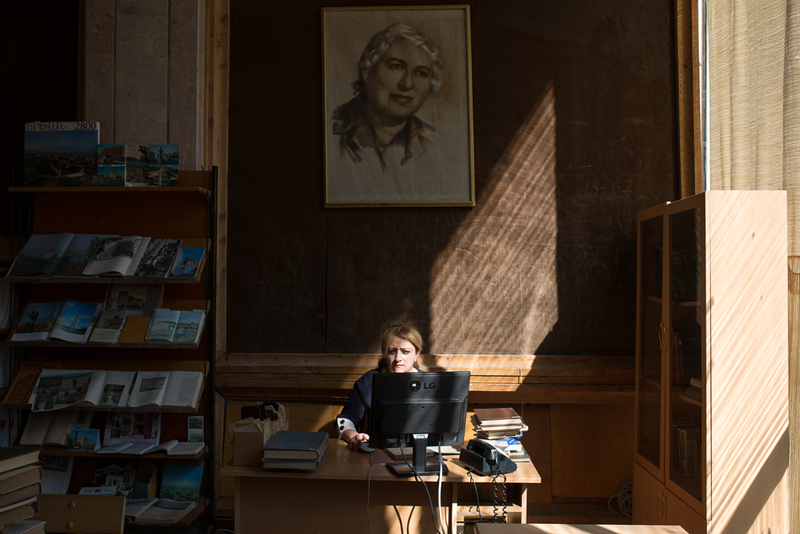 Librarian Mary Ananyan, 38, works beneath a photograph of Serik Davtyan, a 20th century scholar and historian born in Dilijan. Dilijan City Library moved to its current location in the 1980s. Plastic tarps help protect books from the rain and snowmelt leaking through the roof. 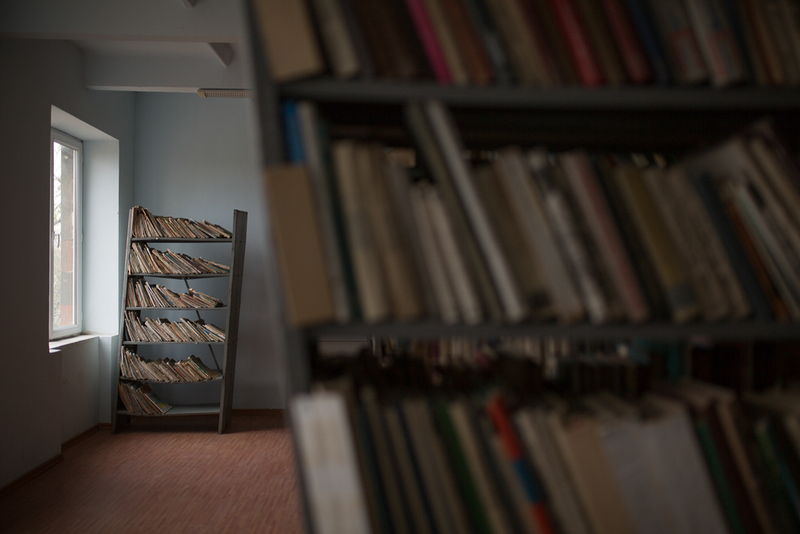 The Dilijan library survives on donations – not of cash, but of used books. The most tattered are shipped off for recycling and the money is used to buy newer books. 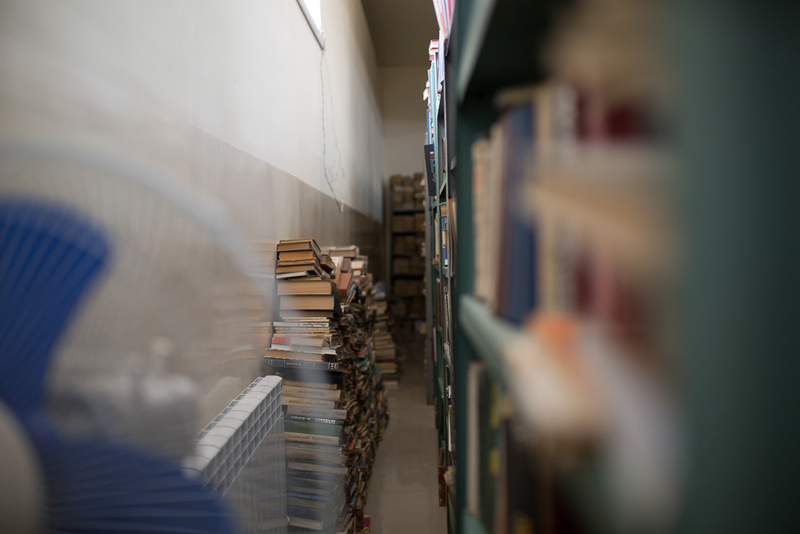 With shelving space limited, librarians at Armavir Regional Library have started piling some of their 114,427 volumes against the walls, where they are inaccessible to patrons. 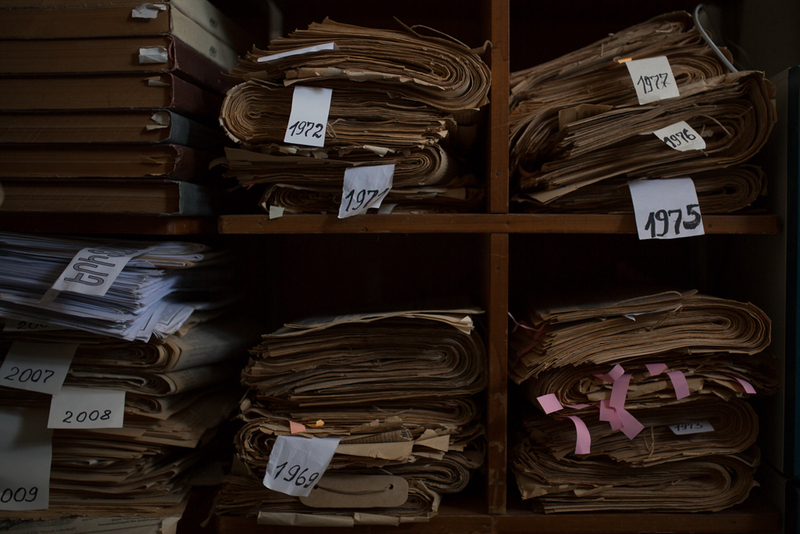 Newspaper archives at the Dilijan City Library. The National Library of Armenia began in 1832 as a section of the Yerevan Men’s Gymnasium. Today it holds over 6.5 million volumes. 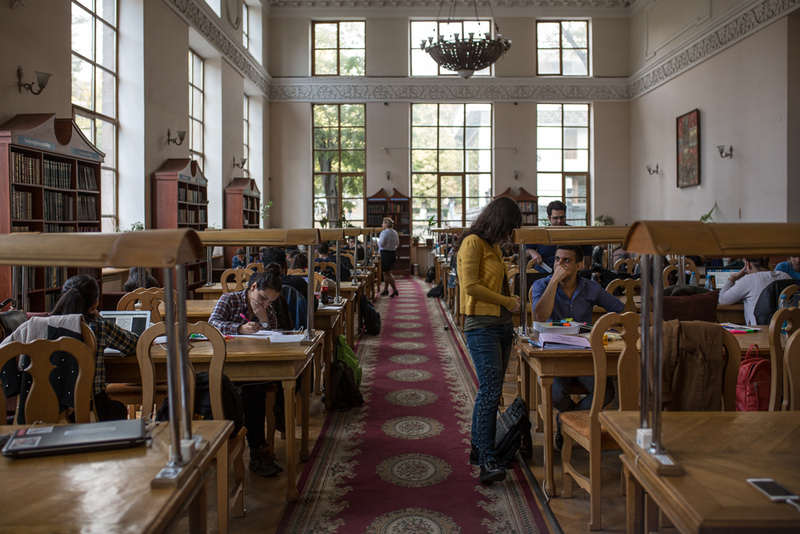 University students regularly use the reading rooms of the National Library of Armenia, in Yerevan. 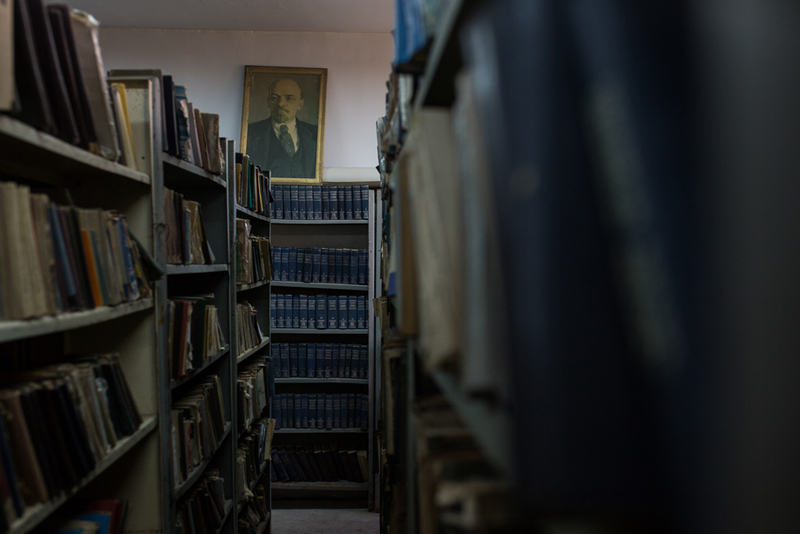 The works of Vladimir Lenin are still available at most libraries in Armenia, including at the Gai Community Library. Librarian Javahir Yepremyan has worked here for 40 years; it’s been 20 since the library received a new book. Yulia Grigoryants is a freelance photographer from Armenia based in France. Laurie Alvandian is an Armenian-American librarian living and working in Yerevan.